According to the American Academy of Pediatrics (AAP) and the National Institute of Child Health and Human Development (NICHD), the best bedtime position for your babies is to be on their backs—primarily because many studies show that this greatly reduces the risk of Sudden Infant Death Syndrome (SIDS). However, you may have heard conflicting advice—from the baby’s grandparents, from well-meaning neighbors, maybe even from a healthcare provider. This can be confusing, especially for first time parents; and especially if the reasoning is something along the lines of “it worked for you when you were a baby, so you are the evidence that this way is safe”. Overly eager older relatives in particular can be a problem, and even more so if they are sometimes tasked to babysit. Why is there so much dissent and confusion—even in the face of medically proven facts—if the stakes are so high? The answer lies in the past. Culture, history and experience do a lot for the human race! A lot of knowledge gets passed down through the ages and from generation to generation, and while most of this is essential and useful, some can conflict with current research and studies. We know it may be hard to separate the harmful from the helpful, so here at Good Night’s Rest we simply present the facts. While sleeping on their backs is ideal, no baby bedtime position is 100% without any health risk. However, some risks are worse than others! Below we look at the three basic lying down positions—on the stomach, on the back, and on the side—and discuss each one’s pros and cons. PROs: For this to be the most favorable position is exceedingly rare. Very few doctors still recommend this position, even for conditions that would benefit from it; such as acid reflux, upper-airway malformations, or acute respiratory disease. The bottom line is that you should only adopt this sleeping position for your baby under careful monitoring and supervision; while “tummy time” for babies is important—as it strengthens back, neck, and stomach muscles; and lowers overall risk of SIDS—it’s usually when they’re awake that this requirement is met. The best argument for this position used to be the danger of choking if the baby vomits, but babies in most cases instinctively turn their heads when they’re going to be sick. Also, it’s been observed that babies vomit in their sleep far less often when sleeping on their backs and on their sides, as compared to sleeping on their stomachs—as long as the babies are not put to bed with a bottled that is propped up for feeding. You should not be doing this under any circumstance and in any sleeping position, anyway. This is dangerous and could lead to choking! What if your baby rolls over on their stomach while they’re sleeping? Well, it depends on their age. At about four to five months, SIDS risk lowers and your baby should have enough muscle strength to roll over or at least turn their head to the side should they feel the need to do so to aid in their breathing. If your baby chooses to shift positions while they are asleep, it’s likely that this is the position that they find the most comfortable. Still, always place the on their back at bedtime—never hurts to enforce a good and safe sleeping habit. CONs: While this bedtime position is very endearing and cute—the stuff of unforgettable memories and photo opportunities alike, especially if your baby falls asleep on your chest—there are so many dangers involved in letting your baby sleep this way, particularly in their first few weeks and months of life! 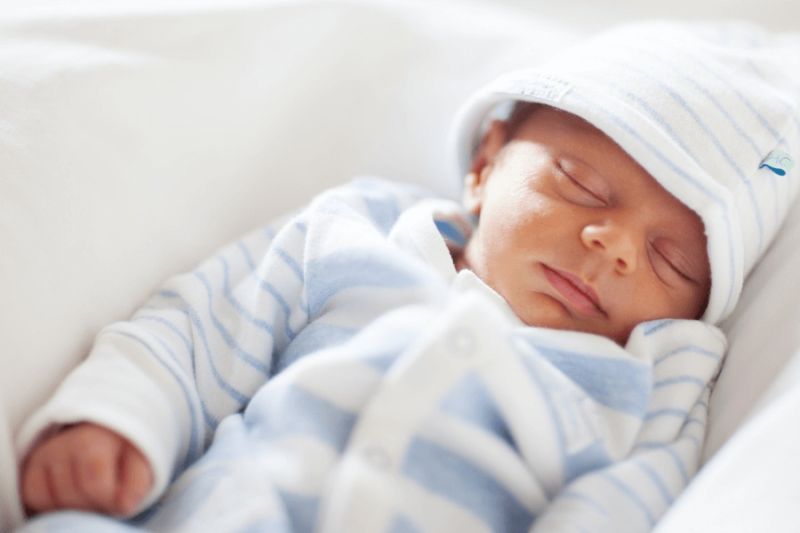 Sleeping on the stomach may restrict your baby’s breathing; causing them to possibly breathe in microbes from the mattress, as well as recycled air low on oxygen. These, in turn, may cause allergies and even suffocation. In fact, the AAP has confirmed that this sleeping position puts babies at a greater risk of dying from SIDS. PROs: As we mentioned at the beginning of this article, this is the recommended sleeping position for babies—and has been for over two decades, at least in the US. It is generally thought of as the safest and the best way. 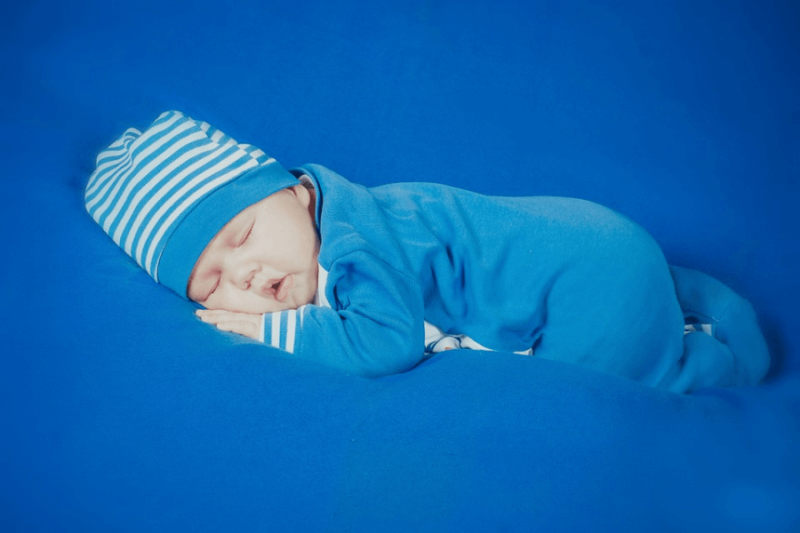 Sleeping on the back keeps your baby’s airways unobstructed and keeps the risk of SIDS very low. Some babies may adopt a peculiar way of sleeping on their backs, called Tonic Neck or Fencing Reflex. While on their back, your baby may adopt a reflexive fencing posture: turning their head to a side; with the arm and leg of that side well extended, and the other sides’ extremities flexed. This fence-like position is instinctive as it is involuntary, and is believed to be done to prevent rolling over on their stomach—one more compelling reason to put your baby to bed on their back. CONs: The most commonly brought up risk of having babies sleep on their backs is Flat Head Syndrome (FHS), of which the typical types are plagiocephaly or brachycephaly. Basically, this means that part of the baby’s skull may develop in a misshapen or flattened way. However, this condition is rarely permanent and will likely go away long before the baby reaches toddler years. The risk of SIDS far outweighs the risk of FHS. Sometimes, the difficulty is that your baby doesn’t like sleeping on their back. This can be due to the fact that sleeping on their stomach encourages deeper sleep—which, while technically more restorative, still puts them in greater physical danger—or just simple nose congestion. In the latter case, a little bit of head elevation can help; as well as a humidifier in the room to add moisture to the air and help with the stuffy nose. Do not use sleep positioners to encourage an infant to sleep on their back, as they may raise the risk of suffocation instead of doing the opposite. PROs and CONs: They don’t really count here, because for the most part sleeping on the side is a transitional position. 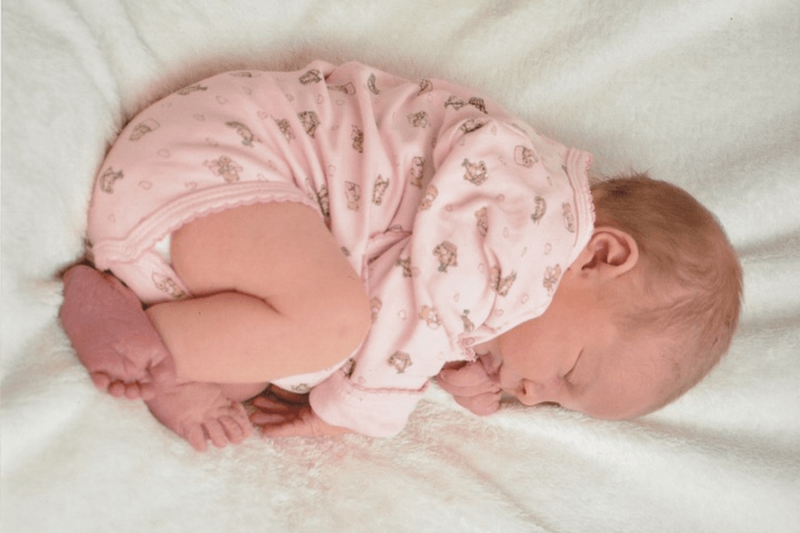 Your baby will likely not sleep in this position for the whole duration of their slumber, nap or not; rather, they will typically roll over on their back or on their stomach. This makes sleeping on the side very unreliable and unpredictable, and therefore not recommended.